It sounds like one of those diseases that should have been wiped out long ago, but malaria, unfortunately, is alive and well, especially in Africa and other tropical, third world locations. Battling malaria is complicated for numerous reasons, among them the difficulty of creating drugs to battle the disease. 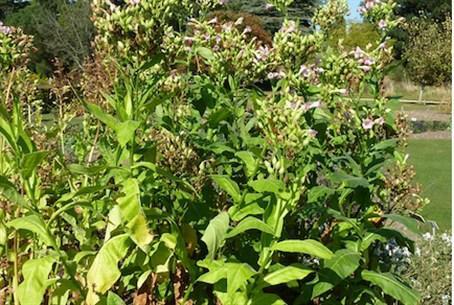 Now, however, Hebrew University researchers have come up with a novel method of producing the medicine that can treat malaria – using common, everyday tobacco plants. Malaria is caused by a parasite called Plasmodium, which is transmitted via mosquitoes. Symptoms of malaria include fever, headache, and vomiting, and usually appear between 10 and 15 days after the mosquito bite. If not treated, malaria can quickly become life-threatening by disrupting the blood supply to vital organs. Over 3 billion people are at risk of malaria. Every year, this leads to about 250 million malaria cases and nearly one million deaths. People living in the poorest countries are the most vulnerable. Malaria is especially a serious problem in Africa, where 20% of childhood deaths are due to the effects of the disease and every 30 seconds a child dies from malaria. The main source of anti-Malarial drugs is based on a substance called artemisinin, a natural compound from Artemisia annua (sweet wormwood) plants, which is difficult to synthesize and expensive to obtain. Scientists have tried hard to artificially synthesize this substance, but despite extensive efforts invested in the last decade in metabolic engineering of the drug in both microbial and heterologous plant systems, production of artemisinin itself has never been achieved. Now, Yissum Research Development Company of the Hebrew University., the technology transfer arm of the University, introduces a novel method allowing artemisinin production in a heterologous (that is, other than A. annua) plant system, such as tobacco. The method was developed by Professor Alexander Vainstein from the Robert H. Smith Faculty of Agriculture, Food and Environment at the Hebrew University, and sponsored by a fellowship of Mr. Isaac Kaye. It was published under the title Generation of the Potent Anti-Malarial Drug Artemisinin in Tobacco in the latest issue of the prestigious publication Nature Biotechnology. Professor Vainstein and his graduate student Moran Farhi have developed genetically engineered tobacco plants carrying genes encoding the entire biochemical pathway necessary for producing artemisinin. In light of tobacco’s high biomass and rapid growth, this invention will enable a cheap production of large quantities of the drug, paving the way for the development of a sustainable plant-based platform for the commercial production of an anti-malarial drug. The invention is patented by Yissum, which is now seeking a partner for its further development.